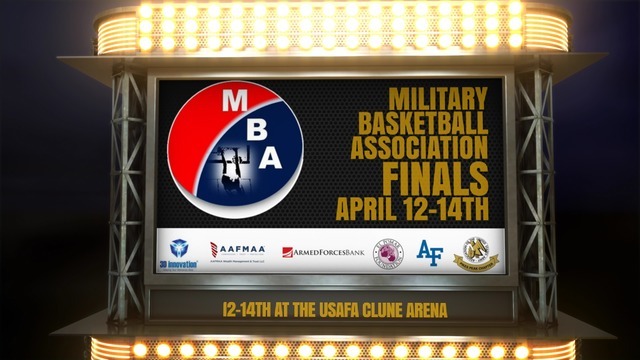 COLORADO SPRINGS, Colo. - Twenty-four all-military basketball teams will compete in a championship tournament at the Air Force Academy April 12-14. The event is hosted by the Military Basketball Association and the Pikes Peak Chapter of the Association of the United States Army. It features 24 teams composed of active duty, National Guard, and Reserve military members from across the nation. They're all competing for the Best in Military Basketball title. The games are free and open to the public. Visitors should enter the Air Force Academy through the north gate. Be sure to bring a valid government-issued ID. The event kicks off April 12 with an opening ceremony, followed by 3-point and dunk contests. Qualifying rounds begin April 13. >> Tap here for a full schedule. >> Tap here for sponsorship opportunities.